I joined Youtube on December 7th, 2006. I remember it well. A friend of mine confessed that she was spending way too much time watching videos on Youtube. I’m back trying to make 1-2 videos a week. I’ll never make enough to cover what I spent on Digital Juice media (A great company, by the way), but I’ll have a lot of fun trying. I’m glad the likes outnumber the dislikes! Literally, “legs become staffs.” This comes from tired legs getting as stiff as a board. And if you have an iPhone or iPad (or both), check out the Learn Japanese Idioms app from which this was taken. Or if you don’t have an iPhone (Android version coming soon! ), we also have it packaged as a PDF and MP3 download here. This week (until August 1st, 2012), we are discounting these two workbooks to only $20 each. Click here to learn more about these books at TJS. These two workbooks are designed to go with the two beginner level textbooks of the Minna no Nihongo series. They are, however, equally well-suited for students using other textbooks. 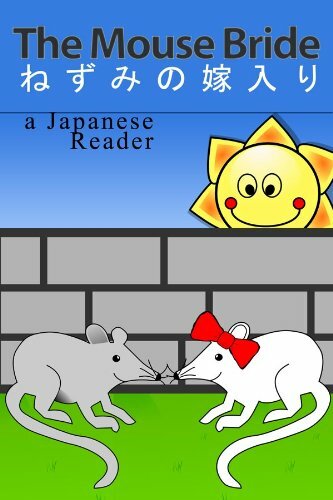 These workbooks practice common and essential sentence patterns in Japanese. Through the use of various types of questions and short writing exercises, the book trains the learner to recognize and understand beginner-level sentence patterns, grammatical structures, and words. This is reinforced by many illustrations and easy-to-understand charts. The book comes with an answer key in the back. Therefore, it could be used by students studying without a teacher. However, I would recommend these books more for students with a teacher or tutor. Many of the exercises require some writing and even the multiple choice questions are given without explicit explanation. For example, one of the first multiple choice questions is how to give one’s name. Two options are presented: one saying the name followed by “san” and then “desu” and the other option is without the “san.” Of course you should never refer to yourself with a “san” but the beginner would not know that. That being said, if you use Minna no Nihongo (or most other textbooks) that simple fact is covered early on. Still, many of the questions are open-ended and could have more than one correct answer. In addition, a teacher can help you improve your writing ability. If you are looking for a book to help you practice Japanese sentences and common constructions, this is excellent. But you may want to look for something else if you don’t have ready access to a native speaker or teacher of Japanese. We tend to get about five reviews a week for our iPhone apps. Today we had three and all were five stars! JPhrases – Very helpful – from the basics to the most needful phrases for almost any need. It is pretty much a complete educational product by itself, but you do need to have a textbook to keep the pressure upon yourself. One of the best Japanese apps for your buck – It provides everything you need to know to speak Japanese just as well as they do and for so little. Forget overpriced lessons that leave stuff out like Rosetta Stone. This is one of the only language software packs you’ll need. And continued updates means no more filling your shelf with books you’ll rarely read. Great app – I don’t normally write reviews but this app is quite exceptional. If you are interested in learning Hiragana or Katakana, this is defiantly the way to do it. 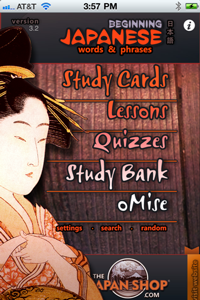 Between quizzes and flash cards, this app will help you memorize quickly and effectively. Many of our apps will be updated within the next few weeks. Please visit our TJP article page for more explanation and audio files: Click Here. Narrator Reviews has just reviewed CJ Martin’s novella, Two Tocks Before Midnight here. Wayne Farrell did a fantastic job with the sound as the review says. I only have only good things to say about this narrator. Farrrell’s voice is rich, deep, and clear. He gives an excellent presentation of the text parts, as well as in expressing the characters. Farrell, has a good handle on proper emphasis, so each character is easily distinguished. We just finished revamping this reader. I listened to the MP3s for this last week and cringed… There was hiss; there were odd popping noises–it was just horrible. No wonder it was the second least popular download in our catalog! This download, designed for beginners and upper beginners of Japanese, now has two new recordings: one at slow speed for beginners to easily follow along and one at normal speed. The PDF has been thoroughly edited and I’ve added Kindle and Nook (epub) formats to expand your options for how to use the product. Works with PCs, Macs, Kindles, Nooks, and any device that can read PDFs, ePub, or MP3s. And as a special Flash bonus, “40 Common Japanese Family Names”–click on any name to hear it read. Oh, and I’ve reduced the price too! It was $5.99. Now it is $3.99! Please click here to learn more and view sample pages. 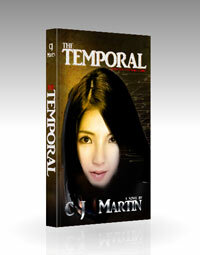 The first in CJ Martin's The Temporal Series. Book two, A Temporal Trust is also now available. New Ninja Penguin Cartoon: All-you-can-eat Buffet!